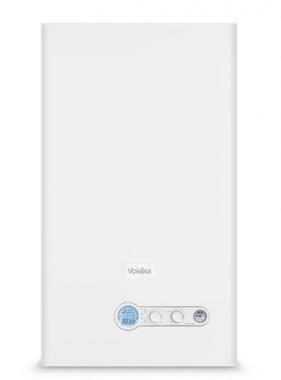 A trusted brand, Vokèra boilers are known for their ease of use and reliability and their heating products are used by more than one and a half million customers in the UK and Ireland. The Vokèra Vision combi boiler has been designed with an emphasis on ease of installation, simple to use controls and thanks to its compact design - will fit in most standard kitchen cupboards. Rich in features, the high energy efficient A rated combi boiler benefits from a built in seven day digital clock, a rear flue option and weighs in at just 25kg. Combi boilers offer instant heating and hot water and this versatile space saving boiler range omits the need for an ugly cylinder or clunky water tank. The Vision range is available in outputs of 25KW or 30kW. It features low NOx emissions (21mg/kWh) and is capable of saving homeowners up to 30% off their home heating bills. As one of the UK’s leading heating manufacturers, Vokèra Ltd have been established for more than 30 years. The company prides itself on offering peace of mind to installers and homeowners and its latest combi boiler comes with a 5-7 year warranty which covers parts and labour.